For all those meeting planners out there, Thavorn Beach Village Resort & Spa is just the perfect events venue in Phuket. This luxury resort is on a superb location- set on a pristine private beach yet close to popular Phuket local attractions. It has one large meeting space that can hold around 200 delegates. Its meetings space is 251 sq. m. which is quite big for the most part. Aside from newly renovated meeting spaces, the resort is equipped with luxury facilities: wellness spa, lagoon pools, fitness center, private beach, hillside cable car, multiple restaurants and bars. As for accommodation, the resort provides three distinct accommodate zone with luxury rooms to suit traveller’s preference: beach zone, poolside zone, hillside zone. The Thavorn Palm Beach Resort is also another great MICE hotel in Phuket. The resort is set on a great location, on Karon’s beachfront and just a few steps from the popular Karon beach. In terms of meeting facilities, this luxury resort is fully equipped with 2 huge meeting spaces which is further divisible into 5 meeting rooms. The largest Banquet Hall is able to hold up to 460 people! The Duangjitt Resort is also another popular MICE hotel choice in Phuket. The hotel is a great choice for high capacity events in Phuket, with over 500 rooms and meeting spaces capacity of over 2,000 delegates. The resort is situated in Kamala and in the western coast part of Phuket. This is also great for its meeting facilities that just set it different from the rest. The amenities can perfectly accommodate up to twelve people for every villa. This also accommodates eighty people in totality for special occasions and events. The spacious interiors are great for their oriental furnishings. There is only one meeting room with a maximum size of 160 square meters and with a capacity of 84. 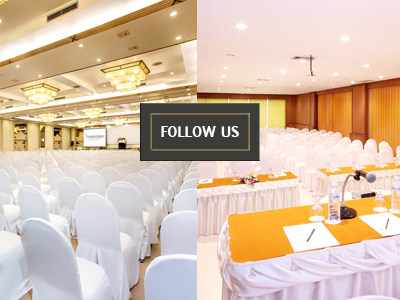 Now, you already have learned more about the TOP MICE Hotels in Phuket that you might want to consider for a conference or meeting! There is no need for hesitation to host your events at these resorts and bring your attendees to any of the mentioned hotels in Phuket. They will likewise love the meeting facilities, the sceneries and views around!